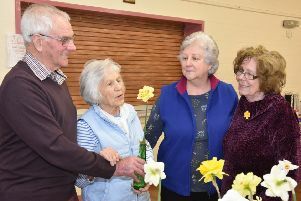 Woodhall Spa Lions Club is going from strength to strength, with new members joining to be part of this voluntary organisation. At the last meeting, they welcomed Jacqui Guthrie to the group, who had already been to several events run by the Lions. Jacqui was sponsored by Lion Jo Coupland and they are pictured above with President Norman Barker. Next month, they will be welcoming a further two new members. Anyone who would like to find out more about the Lions Club can call 01507523635.